Mother's Day - Sunday, 12 May 2019. Mums will love the cake selections we have picked out for her. Give her the dessert she loves. **Kindly allow at least 4 days between date of order and date of collection. 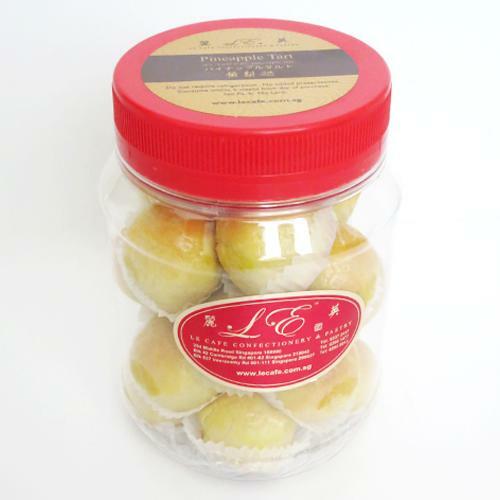 Our famed Pineapple Tarts aka "Golf Ball" Pineapple Tarts. Available only in 3 packaging. The moist pineapple filling is encased in our buttery, crumbly pastry. *Pastry contains egg and butter. Silky smooth soya bean filling, encased in a thin cup of delicious buttery pastry. Available for collection after 1pm. * Crust contains egg and butter. These cakes are great for a small celebration, gatherings or meetings. Traditional loaf cakes - please indicate if you like us to have them sliced for you. Kindly allow 4 days between date of order and date of collection. In the remarks section, please indicate message to be written on the cake. Eg "Happy Birthday". **Kindly note that 1kg cakes are square shaped. **For customised cakes, please call us at 63372417. Do place orders well in advanced (min. 2 weeks in advance), to avoid disappointment. Pictures are for illustration purposes only, actual cake design may differ. Consume within 6 weeks from day of purchase. *FRAGILE - Hand carry this item if you are planning to bring them overseas.